Volunteer projects vary throughout the year. There’s always a need for all types of skills and experiences, so you don’t need to be a scientist or an expert to apply. The program is flexible, matching available opportunities to your talent and availability. Volunteers often move on to another project or area with the ATF after completing their initial assignments. Volunteers help with a wide range of projects, from special events, educational programs to administrative tasks. Most volunteer projects begin with one-on-one training with a staff therapist and then develop into independent work. Whether you’re an individual interested in ongoing projects or a group wishing to participate in a Done-in-a-Day program, you can help provide vital services and support to many children. Thanks for your interest in volunteering at the Autism Trust Foundation. Please Note: Parts of your application may be shared by the Volunteer Department with prospective volunteer supervisors to find a placement for you. Please check any of the areas below that interest you or describe your skills. I have prior volunteer experience. 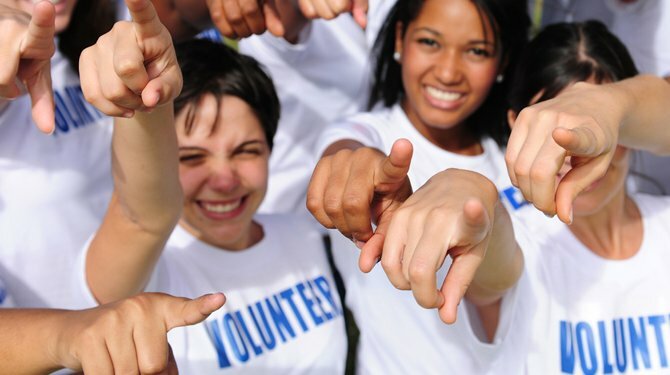 Does your employer offers a time-off program for volunteers. Yes, I volunteered at the ATF before. Are you currently a member of the ATF?